Our first Saturday in Japan was very exciting. 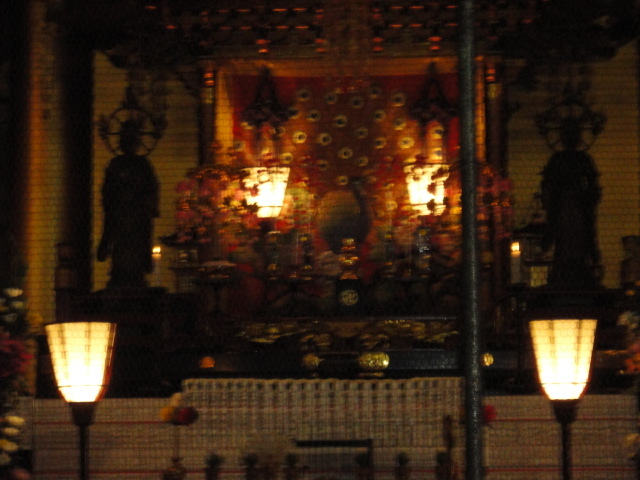 Our travels that day brought us to a large shrine area in Asakasa. Everything here was so elaborate, and the crowd was very animated, not to mention packed!! It was like a giant festival. What was being celebrated I’m not sure but just being at the entrance built great anticipation on what was inside! On the road leading up to the main shrine were countless shops filled with a variety of things. The one that caught my eye the most was a shop that sold Japanese blades: katanas, short swords, shuriken and the like. I really wanted to buy one but decided to postpone until the end of the trip and see what my budget was then. I still could have bought it but in the end I was better off not getting it. Maybe next time. My favorite experience at this place was watching the parades of men and women carrying golden shrines around. I should have inquired into who/what they were worshiping/celebrating, but it was very entertaining to watch. 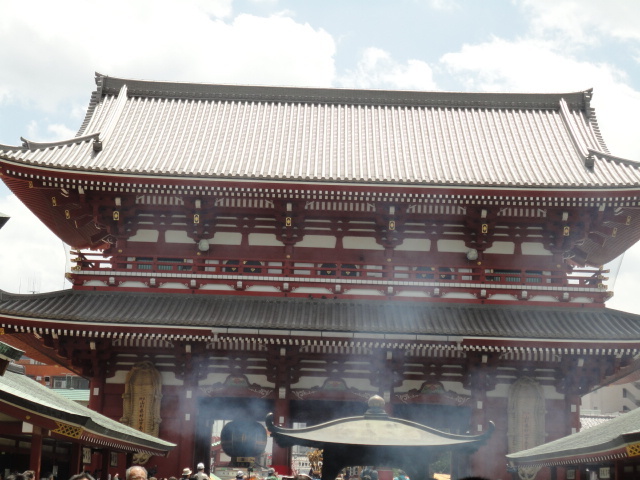 Closer to the main temple, there were what seemed like a billion shops selling food. The variety seemed endless. I was tempted to buy something, but still hadn’t gotten over my fear of undercooked food (something I never got over during the length of the trip). Inside the actual temple, I was able to see the praying and blessing rituals, such as donating money for a blessing, for the first time. I also donated to receive a fortune. I’m usually not superstitious but it was scary to receive a bad fortune that told me not to travel, not to start a relationship, and a bunch of other things. I also missed the fact that I could tie up bad fortunes to be let go later. I’ll admit I sort of freaked out but it was all good in the end. Another thing to note is that we ran into a couple CMU students. Small world, huh?